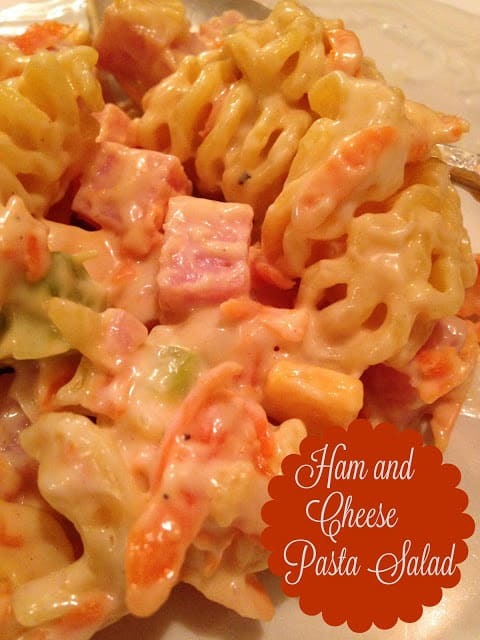 It doesn’t have to be summertime to enjoy this delicious Ham and Cheese Pasta Salad. Pasta salads are great anytime! 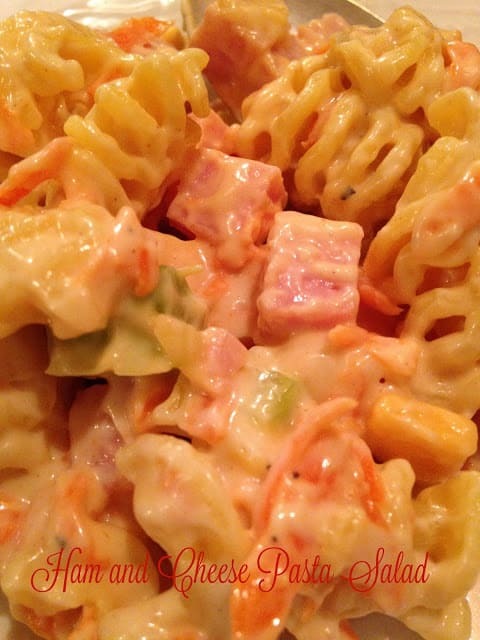 Put some warmth and sunshine into your winter with Ham and Cheese Pasta Salad. 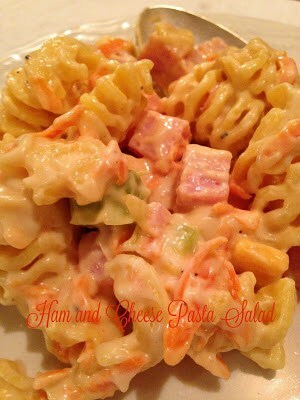 If your planning on serving ham during the holidays, making a pasta salad is a great way to use up left-over ham. If you’ll be having friends and/or family staying a few days for the holidays, make a big batch of ham and cheese pasta salad. 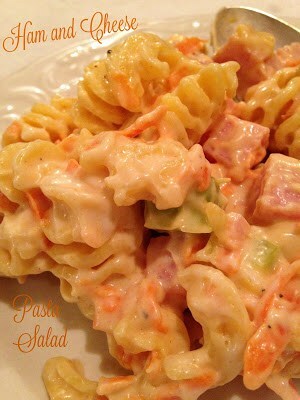 Your guests will appreciate a delicious pasta salad in place of another ham or turkey sandwich. Pasta Salads can be made with just about any ingredients you have on hand. This salad is made with left-over holiday ham, sharp cheddar cheese, shredded carrots and onion, diced celery and radiatore pasta. A dressing of mayonnaise, milk or buttermilk, sugar, apple cider vinegar, Dijon mustard, salt and pepper combines all the ingredients together for a deli-style pasta salad at half the price. Fast, easy and always affordable. Cook pasta according to package directions. Drain and rinse under cold running water, drain again. In a large bowl toss together pasta, shredded carrots, onion and celery. In a small bowl, whisk together mayonnaise, milk, sugar, apple cider vinegar, mustard, salt and pepper. Add ham, cheddar cheese and mayonnaise mixture to carrots, onion and celery. Toss gently together. Refrigerate one to two hours before serving.